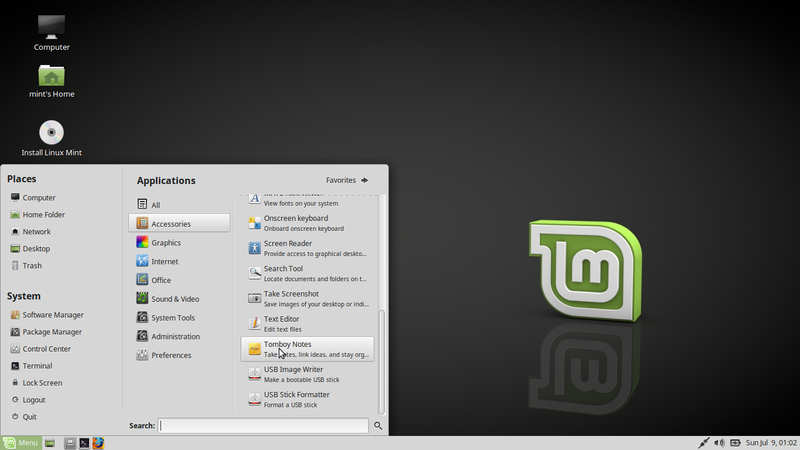 The quest for a replacement Linux distribution for Linux Mint 13 LTS "Maya" Xfce continues. 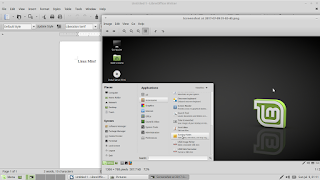 With this post comes a review of the latest MATE edition of Linux Mint. 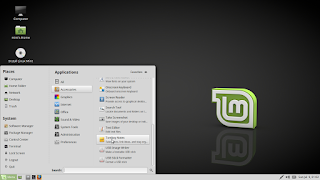 Especially for regular readers of this blog, Linux Mint needs no introduction. I will just say that with the latest point release, it seems like the developers have put more polish into the distribution, including their new set of "X-apps" meant to work across MATE, Cinnamon, Xfce, and GNOME, avoiding the pitfalls of more DE-specific applications. I want to see what has changed since my last review and to see whether this would be suitable for installation and daily use on my laptop. To that end, I made a live USB system (again, on my new SanDisk Cruzer USB flash drive) using the "dd" command. Follow the jump to see what it's like. Note that I'll frequently reference that previous review, noting only changes and overall important points as needed. After the boot menu, I was greeted briefly by a black screen and then by the Linux Mint logo with 5 dots underneath that periodically filled and emptied. That gave way relatively soon to the desktop. The desktop hasn't appreciably changed since my last review, so I won't linger on that point any further. As I mentioned in the last review, proprietary media plugins and codecs are no longer included in the live system. However, this time, I knew where to look under the "Sound and Video" menu category. It still took a little time for the package installer to properly launch, and I again got a little impatient, attempting to launch the program several times. Also, like last time, there seem to be some cryptic error messages when installing packages with regard to software sources, but this didn't actually end up affecting anything. In this regard, the plugin/codec installation procedure could definitely use more polish, as not much has changed since the last time I tried this. After that all happened, I checked out the default browser, Mozilla Firefox. It was clear that the plugins and codecs had installed correctly, as I was able to use YouTube and Hulu without issue. 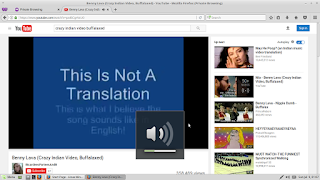 Also, my laptop's volume keyboard shortcuts worked fine. I will note the following minor issue: with the default icon and GTK+ themes, the volume icon in the notification that appears in the center of the screen when changing the volume looks fine, but if either the icon or GTK+ themes change, that icon becomes quite pixelated (though the panel icon looks fine). LibreOffice is the default productivity suite, as usual. The other "X-Apps" have indeed matured a bit, running a bit faster and more smoothly while having more features than before. Otherwise, the application selection is essentially the same as before. I was able to use the Synaptic Package Manager to install Mupen64Plus, Redshift, and Cheese Webcam Booth. Those all installed and worked fine, and I was able to verify that my webcam would be recognized. Additionally, I was able to download and install the DEB file for Skype from its website. That worked well, and I was able to verify that it would recognize my microphone. This distribution used 423 MB of RAM at idle according to the command "free -m", though weirdly, that figure came out as 1.1 GB in the MATE System Monitor. This is a similar situation to my recent review of Debian 9 "Stretch" MATE, but unlike that case, though I did notice a very slight latency in the appearance of certain tooltips and notifications (which could perhaps be attributable to either my USB flash drive or to the "dd" command), I did not see any real slowness when running the live system. Everything was quite smooth, and my computer never struggled with anything. As I am looking to potentially install this on my computer, there were two other things that I tried. One was to log into my research group's server graphically and through a terminal; both worked without issue. The other was to connect my phone to view and copy its files. Unlike my recent review of Debian 9 "Stretch" MATE, viewing files in the Caja file manager worked fine, without any serious slowness (and in Debian, that would probably be mitigated upon installation to my laptop's hard drive), while copying files took no time at all; the only issue was in opening pictures with Xviewer, which took some time for the first instance of it to start, but once that happened, there were no further issues. Finally, I would like to refer to once last issue that I raised in my recent review of Debian 9 "Stretch" MATE. In that review, I complained about the font sizes in the text editor being too small. That seems to be an issue here too, and while it isn't too hard to change fonts styles and sizes, I wish the default monospaced fonts would be a little bigger, better spaced, and easier to read. In any case, this is not something I can blame on Debian. 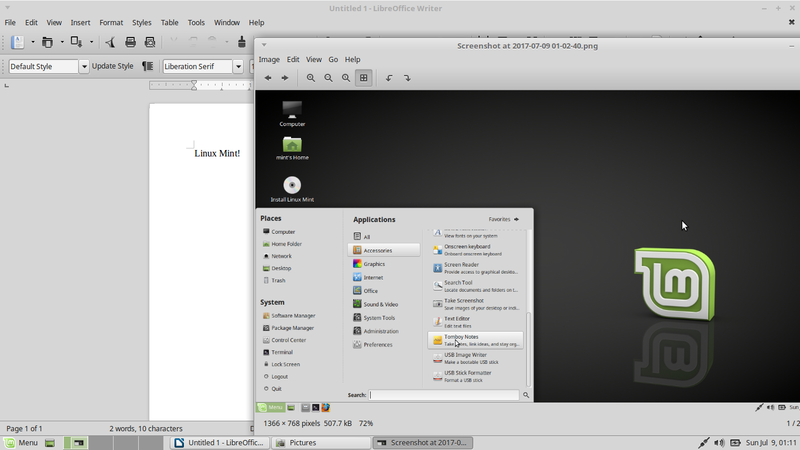 That's where my time with Linux Mint 18.2 "Sonya" MATE ended. There have been some nice improvements since my last review, though the specific issues that I brought up then haven't substantively been fixed. Even so, I think this is still a fairly solid distribution for newbies, and I would recommend it as such. More than that, I am planning to install this on my laptop's hard drive and use it as my daily distribution. Stay tuned for at least one post about that. You'll notice that a few phrases in this review have been highlighted in bold text. That is because several commenters have raised concerns with my recent review of Debian 9 "Stretch" MATE, specifically with regard to my observations of slow operation from a live USB. The highlighted phrases should make clear that this slowness is not general to live USB systems (as should my past reviews), and should absolve Debian of certain faults (like font sizes) which I prematurely attributed to it. Please give Debian the benefit of the doubt. It has a huge ecosystem and is ported to dozens of different architectures and envirionments. The Debian developers and maintainers do an amazing job of keeping the various versions to have the same look and feel as much as possible. I used to think that two years was an awfully long time to prepare a new version, until I researched the Debian web sites to see what had to be done. @Steve: I do not doubt that maintaining and updating Debian is a huge undertaking on the part of the developers, and that there may be some bugs along the way. My concern though is that typically (as has been the goal for most distributions in my experience), live media are meant to render the installed experience as accurately as possible on real hardware, yet by writing the recommended ISO file to a USB flash drive in the recommended way, I got an experience that was subpar, in contrast not just to Linux Mint (as shown here) but even to smaller independent distributions (like Manjaro, Chakra, et cetera), and could therefore not be compelled to install Debian on a hard drive with such slowness or without such assurance of accuracy. Thanks for the comment!